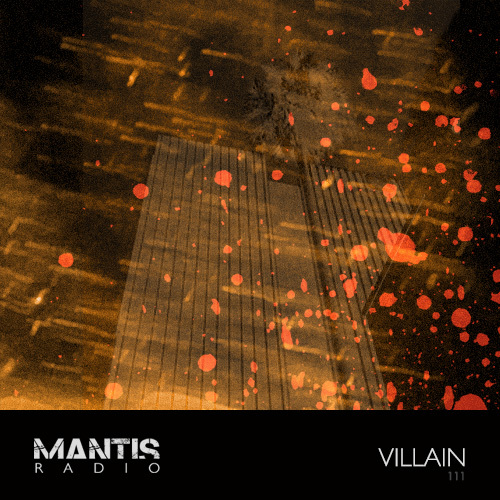 On Mantis Radio this week we welcome Singularity Recordings’ Villain. We’ve music from Death Abyss, UR, Blackmass Plastics, Max Duley, Coefficient, Alphaxone, Actress, Monolake and more to share. Villain is one of those artists that despite not having the big discography has a focused selection that speaks volumes, notably with his recent(ish) album Escapade. Escapade came along earlier this year and has quickly cemented itself as one of our favourite techno longplayers in the past 6 months. This is just wall to wall stunning. Deep, hard and focused. For music made in the sunshine of California it couldn’t be deeper, darker and further from the shining Golden State. Broken techno deftly programmed. The production level on Escapade, is, quite simply, as good as they come. It was a diverse sound palette build on a techno frame, but pushed beyond what was expected, something that is seen so rarely seemingly these days with artist albums. The mysterious Villain can at present be found lurking in the shadows of LA crafting his own sound. His exclusive showcase session is something special; half of the set built from past releases (all released through London’s Singularity Recordings), the other half, brand new, especially for our show. I’m reliably told those new tracks will debut later this year, no doubt, on Singularity.